The 2nd Chinese edition of the Global Furniture Outlook Seminar took place on last September 10th at CIFF Shanghai. 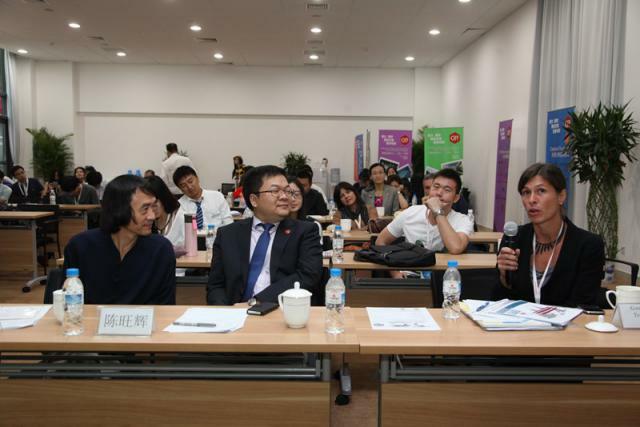 The event, which was organized by CSIL, together with CIFF and Edimotion, saw the presence of qualified speakers from different countries sharing their market knowledge with a wide group of attendees, including journalists and companies’ managers. After the opening speech given by Chen Wanghui (Vice General Manager of China Foreign Trade Guangzhou Exhibition Corp), the seminar took place and within a couple of hours, due to plenty of updated figures and evocative images, the audience had the feeling of the great potential expressed by the Asian furniture market and a view to its future evolution. Furniture consumption in the area increased by around 70% in the last five years, as stated by Alessandra Tracogna (CSIL partner) and Asian penetration in foreign market is also huge. Still, the United States are the first destination of the Chinese furniture export and as reported by Kevin Castellani (Furniture Today Publisher), perspectives are particularly favorable, as sales are projected to increase by 15% between 2014 and 2015 driven by the recovery and the purchasing power of the millenials. Presently, around one quarter of the furniture market (in value) is satisfied by Chinese products. As Alessandra Tracogna pointed out, Chinese trading partners have been changing recently and, according to CSIL forecasts, the whole Asian region will be more and more important in the coming years as an outlet market for Chinese furniture exports. To this aim, Roberta Mutti, (Journalist and Italian consulting), focused the attention on the South East Asian region as a dynamic and promising furniture market, made of different countries with specific features. She stressed the need of adopting a focused retailing strategy in each country, which is key for success, together with a proper approach to design. Other emerging markets, even if at an early stage of development, are going to be attractive for Chinese export. In India, as illustrated by Rashmi Naicker (Editor, ITP Publishing India), over 200 million persons will be added to the local urban and working population in the next 10 years. Consumers are exposed to information age and becoming more demanding in terms of product quality, usage and design. China is at present the first foreign supplying country and furniture imports, even if still negligible, are growing year after year. The seminar ended with a passionate speech held by Zhu Xiao Jie, a famous Chinese designer. He started reporting a speech that he gave on the issue ‘design’ around 10 years ago and through images and stories he provided a clear view of the tradition and the potential of the today’s Chinese furniture design.